Common Ground Relief created the Environmental Restoration Initiative to proactively address the dangers faced by New Orleans and the Gulf Coast Region due to coastal land loss. We work to bring immediate attention to both the causes and effects of this ecological disaster. The goal is to shed light on where wetlands restoration needs to happen, determine who should be responsible for doing it, and then do it ourselves whenever possible. We are also dedicated to educating as many people as possible and engaging the community in the restoration effort. Our K-12 environmental programming in local schools, and our wetlands planting projects for short term volunteers, local civic groups and conventioneers help us accomplish this goal. We advocate for the restoration of imperiled coastal areas to preserve precious land, protect endangered wildlife and preserve the livelihood of residents in centuries old communities along the Gulf Coast. Although billions of dollars will be spent over the next 50 years for diversion projects and land building, the restoration and preservation of Louisiana’s vital wetlands requires an enduring commitment and a long term, collective, socially and economically sustainable approach. 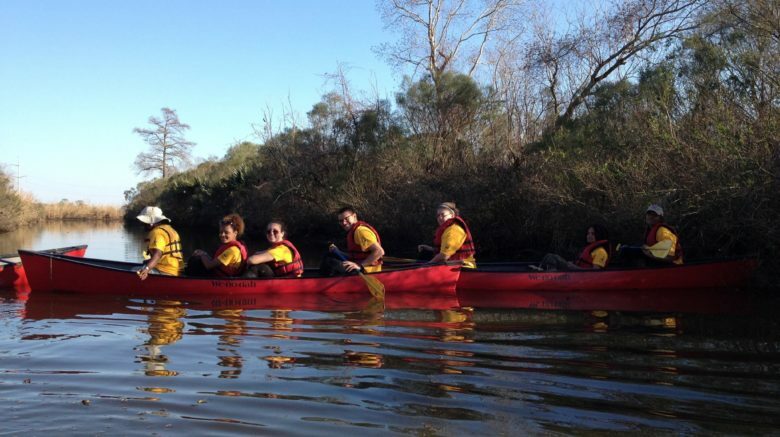 Our Environmental Restoration Initiative is dedicated to cultivating the future leaders and environmental stewards of Louisiana’s coastal communities. Common Ground Relief plants approximately 5,000 bottomland hardwood trees per year and more then 16,000 plugs of marsh grass per year. 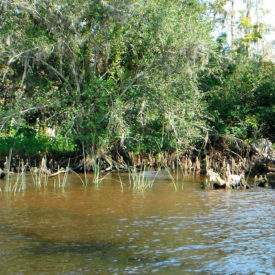 This is the equivalent of reforesting approximately 45 acres per year and providing 15 miles of shoreline restoration.